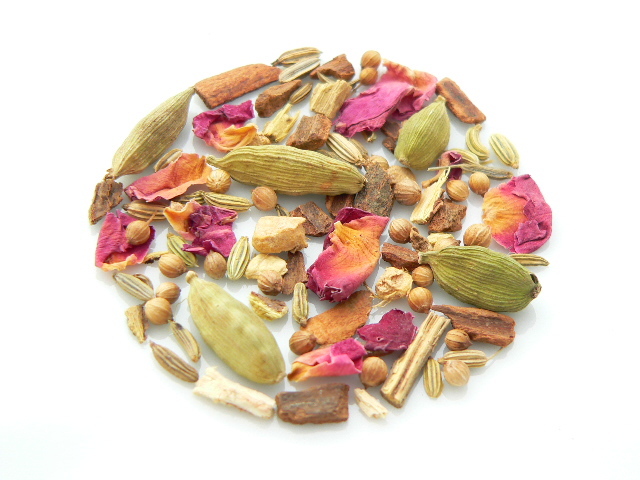 Ayurvedic herbal tea supporting the dosha 'Pitta' both soothing and balancing. A blend of cardamom, cinnamon, coriander, fennel, ginger, liquorice & rose leaves. This superb herbal blend both looks a delight and has a softly aromatic flavour with a deliciously sweet finish.